The following is a quick breakdown of some frequently asked questions about our ready to assemble kitchen cabinets. Please browse through this page and feel free to send us a message for any concerns unaddressed on this FAQ page. Knotty Alder is a premium hardwood renowned in the design and construction industry for its natural beauty and even grain appearance. It is normally light brown with hues of red or peach, depending on the finish used. This hardwood is receptive to various stains and finishes that enhance its beautiful grain patterns. 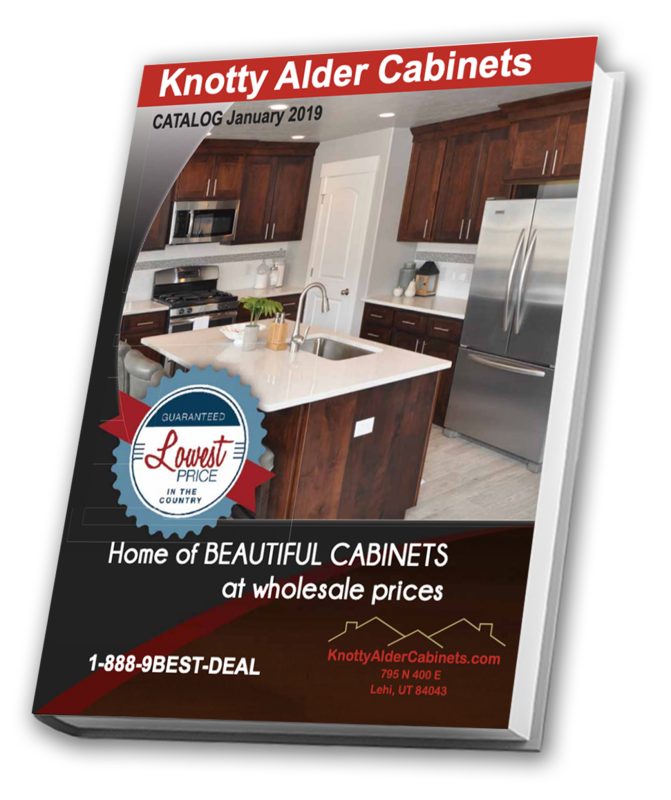 Knotty Alder is the choice of architects and designers for kitchen cabinets because of its distinct character that comes from knots and wood grain variations. Unfortunately, we do not offer financing for Knotty Alder Cabinets at this time. We are currently working on ways to offer this service sometime in the future. We accept major credit cards including Visa, Mastercard, American Express, and Discover. We also accept personal checks, but note that this will delay the shipment of your order by up to four weeks. We also accept payments made through wire transfers. Order shipment depends on how soon payment clears. Cabinets typically ship within 3 to 4 days after payment clearance. Regular priority shipping takes between 7 to 10 days on most orders, with packages sent directly to your requested location. Do you have the cabinets in stock? We carry an extensive inventory of Knotty Alder cabinetry and supplies and should be able to meet your cabinet needs. There are instances, however, when some kitchen cabinet types may be unavailable. We average an in-stock percentage rate of 97% at any given time, ensuring that all cabinets are in stock before accepting payment, and processing your order. Shipping costs will always depend on where you live and how much you order. Expect that you will receive a shipping quote along with the final quote for cabinet pricing. Have other questions about RTA Cabinets? Send us a message and we will gladly get back to you!